Reading Hydro CBS had a smile-filled day at Reading Town Meal on Saturday. 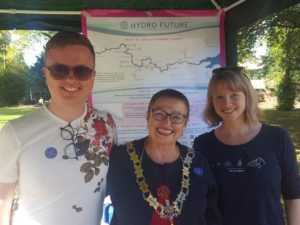 Mayor Debs Edwards visited us, with great understanding of the issues Reading Hydro faces and the unique opportunity the project offers the town. 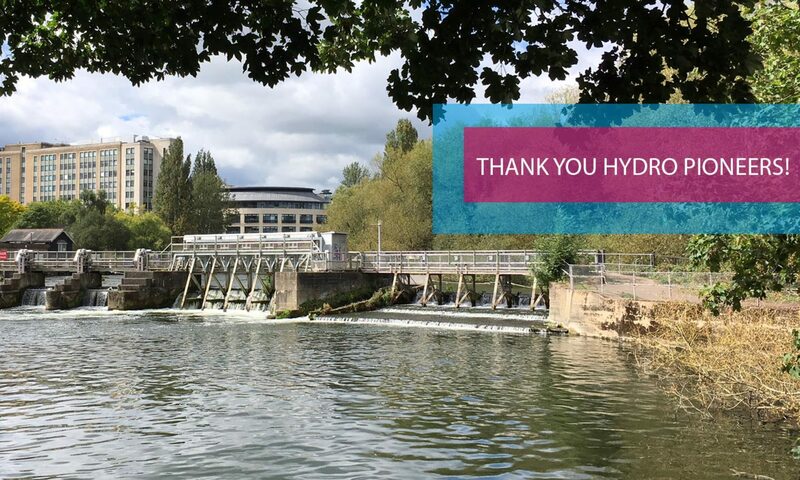 Reading Hydro would put funds back into the community for decades to come, and be a focal point for pride in what our people can achieve together to innovate and improve the environment. We much enjoyed Debs’ company and that of the wide range of engaged and interesting people that flowed into our space. Visiting the many other stalls showed what a huge variety of interesting projects and motivated people we have in our community. Thank you so much Food4families for creating this inspiring event and ordering in the sunshine. We really look forward to all the people who signed up for membership and who took leafelts becoming more involved in any way that takes their fancy. Many thanks to Reading Sustainability Centre and Refill Reading, who shared the stall with us, helping give it variety and interest for all ages.